Blog Post: What Can A Benedictine Monk Teach Agile Coaches? It’s crazy to think about how long TED talks have been around. Long enough for them to be an unknown quantity, diamond in the rough, huge hit, lame, hit again, lame again, and so on. I view each one as a box of Cracker Jacks. You know there’s going to be a prize inside each one, it just may be a sticker instead of a ring. I’m past the mystique of it all, and choose to listen to the audio podcast version. Makes my work commutes much more enjoyable. The best ones are always out of nowhere surprises. 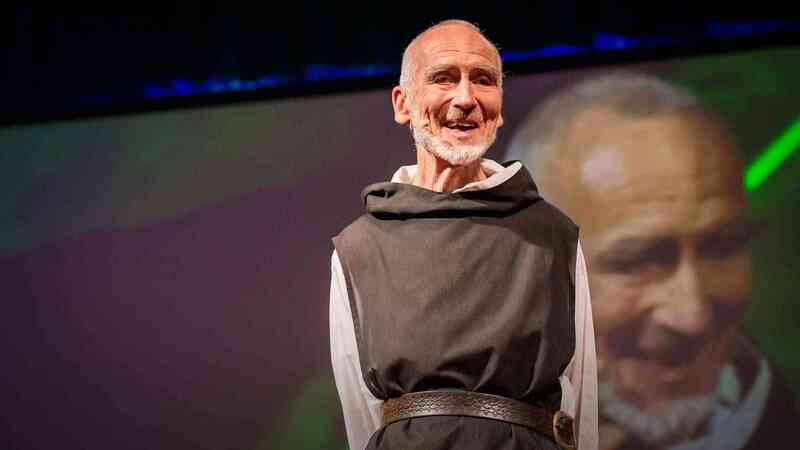 Recently, I went into a talk by Benedictine monk David Steindl-Rast on happiness with very low expectations. I’m fascinated by the subject (as is the rest of the world), but I don’t need “5 tips to increase them” because that trick has been played. Instead he argued that gratefulness was the key. True happiness, he went on to say, comes from when we receive something valuable and have a chance to reflect upon it. That’s where gratefulness comes in. Of course, not every situation is easy to be thankful for, but he doesn’t think that’s where gratitude fits in. Instead of being grateful of awful situations, instead reflect on how amazing it is that we have a chance to respond. With grace, kindness, affection, transparency, sincerity, or merely be thankful that you have another chance to try again next time. As an agile coach, and aspiring leader in this space, I think I have opportunities to not only demonstrate gratitude, but help encourage this attitude amongst the ranks. So my ears perked up. I started wondering, is it possible for an agile leader to learn something from a Benedictine monk to help his or her team? Steindl-Rast, who started a non-profit called gratefulness.org, states that to bring out more gratitude in our lives, we must put more stop signs up in our lives. When we are at a stop sign, we stop…then look around…then go. He encouraged us to do all three things more often. It encourages gratitude, which raises the happiness in what we do. Stop me of you’ve heard that before guys. Where have we heard this before? If only we had something where we stop every couple of weeks, look around, then move forward with a fresh perspective. Our iteration retrospectives provide that distinct stop sign to, regardless of what’s going on, stop and look around. The kicker will be to have the right attitude of this ceremony. We can be pragmatic about finding what needs to be improved, or we can be grateful for all the lessons we have learned. I tried this at the next retro. Instead of doing our usual “continue, stop and start” questions, I just opened it up to the team for some shout outs. Scared that the team would think it was lame, I tried anyways. Instead the team launched into a sea of gratefulness that washed over the team. I even got one, and I would be lying if it didn’t make me feel awesome! Being self-aware while you are in the moment of something is difficult. So instead of working to fix every moment, just put some stop signs in front of you and your teams more to look around. If you can increase gratefulness, you just might find yourself surrounded by a happier team. We all know the kind of work happy teams do.